The new comedy by Ken Ludwig, America's premiere writer of farce, is now running at McCarter Theatre Center in Princeton, and will probably have legs around the country. Theater critic Howard Shapiro will review the new Ken Ludwig play, "The Gods of Comedy," this week on In a Broadway Minute. Listen Friday (3/22) at 8 am and Saturday (3/23) at 10 am. 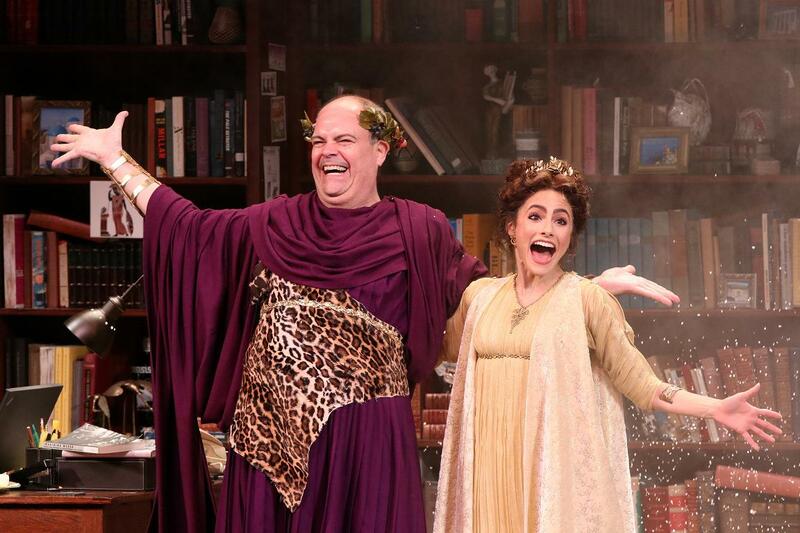 Brad Oscar and Jessie Cannizzaro portray "The Gods of Comedy" in its world premiere at McCarter Theatre Center in Princeton.